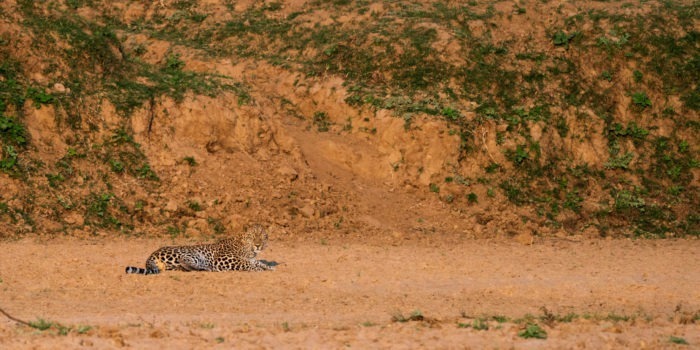 "See Africa through our eyes"
Incredible wildlife – our tours take part in some of the best wildlife viewing areas in Southern Africa! Rustic accomodation – we love tents and simple accomodation that is still comfortable but remains authentic. Wildy remote locations – the further away from other humans the better. Stunning scenery and landscapes – its not always about the wildlife, sometimes you need is an incredible view! Educational and in-depth – we spend lots of time in the wild and have much to share! Photography – we love taking photos and helping others to get the most out of their cameras. A best selling author who has found Africa to be her true calling. 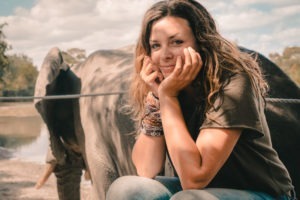 For Gesa, safaris are supposed to be about something deeper than simply racing around and ticking off the larger and iconic mammals. 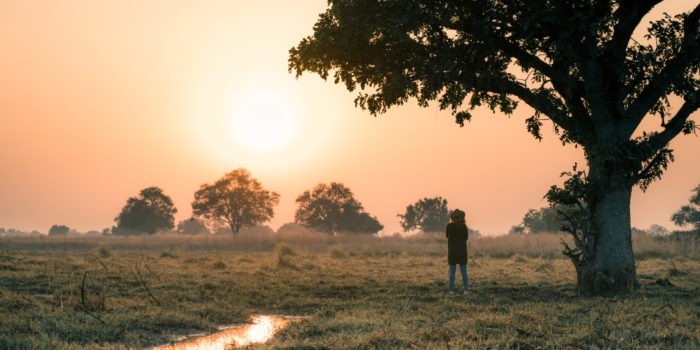 There is a connection to the wilderness that is engrained in our ancestry and she makes it her goal to help you find it….with the help of elephants! Addicted to safari! Frank loves bringing to life the smaller aspects of the bush that are often overlooked and not considered important. Theres always something to see and he knows where to look! 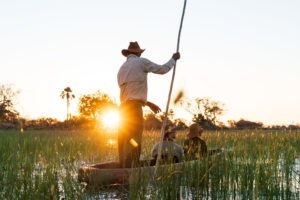 For Frank, safari is all about the experience and serious adventure, like poling a mokoro to a secluded island in the Okavango and tracking down fresh lion tracks on foot! 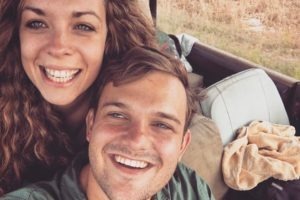 We travel a lot in Africa, but never had such a perfect organisation before, and during the holidays! We experienced an incredible journey back to nature with Gesa and Frank. Every day you experience something new In Africa, beautiful, big, but also quiet and small that you don’t want to miss afterwards. So perfectly organized, combined with cordiality and expertise, you become addicted to it. We have already booked the next trip for 2019 with Gesa and Frank and safariFrank 🙂 . Gesa and Frank also do private safaris on request. 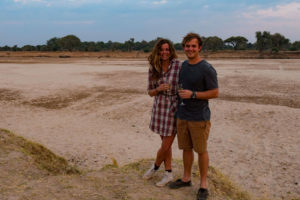 If the above tours don’t work for you, or you wish to have them join your own small-group safari privately, then please enquire below. 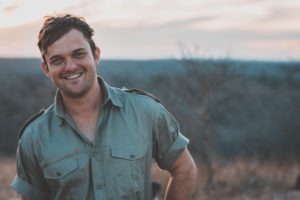 Frank would love to tailor make your exclusive privately guided safari! 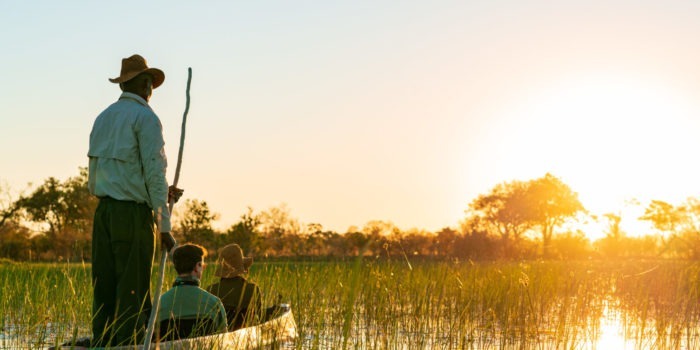 The Okavango – Moremi Game Reserve and surrounds. 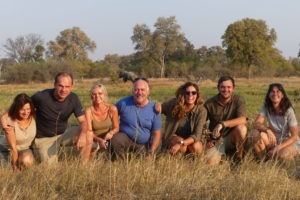 Want to go on safari with Gesa & Frank?